I used the Instant Pot three times within the first two days of purchasing it. The first real meal I made was from a recipe I've used for a couple years now -- only instead of slow cooking for 8+ hours I had it done in about 20 minutes total (12 min cook time)! The second full meal I made was a taco soup. The flavors the Instant Pot brought out were phenomenal. 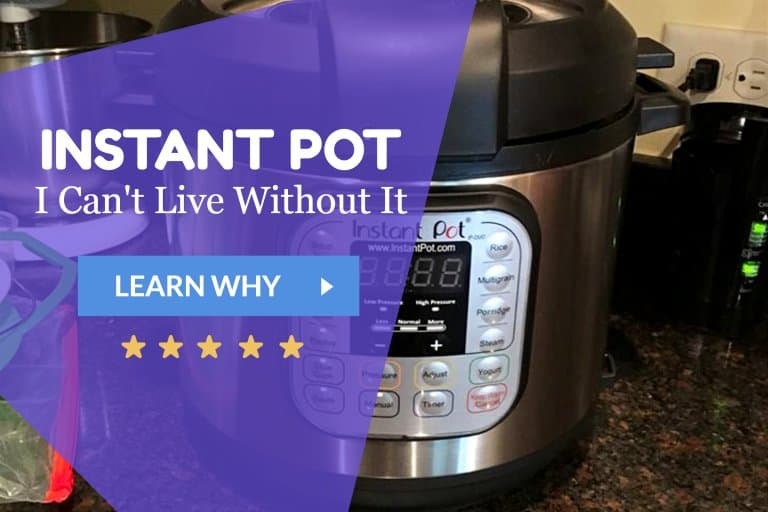 So, this article is going to be a bit of a product review for the Instant Pot (my model is the IP-DUO60), a way to answer frequently asked questions about the IP, and to give everyone a better idea of why there is such a huge Instant Pot craze. As NPR says, a crazy word of mouth viral sensation. What do people look forward to the most? I took a quick Facebook survey to find out what new users are looking forward to most with their Instant Pots. A brand new Instant Pot owner said, "I am excited for shorter cooks times, and cooking from frozen. I am most nervous about adapting recipes, and the fact I convinced my mother in law to get one so it has to be amazing." Another claimed she was hesitant to buy one at first. "Our slow cooker got us through the first month after coming home from the hospital with our third child, but I just haven't found a lot of recipes we loved (although we have found a few and are so thankful for it). I was afraid the Instant Pot would be the same with not a lot of flavor. A few friends have told me that's not the case with the Instant Pot. Can't wait to save time in the kitchen (multiple kids in sports) and quick food with flavor!" Another exciting angle was Ellie's renewed passion for food! She said, "I'm mostly excited about my renewed interest in cooking. I've gotten into a serious rut and dislike standing over the stove. Since my IP arrived 2 days ago I've cooked more than I have in weeks!" Figuring out which size to get will depend on how many people you cook for, and if you like having left overs. Personally, I say get the 8 quart one - Instant Pot IP-DUO80 7-in-1 Programmable Electric Pressure Cooker on Amazon - you'll never regret going big, but you might regret getting a smaller one. I know friends who are cooking for a family of 5 using a 6 quart and they typically have a half gallon of leftovers when they make soups. 6Qt - Instant Pot IP-DUO60 7-in-1 Multi-Functional Pressure Cooker. What is the difference between the 6-in-1 and 7-in-1 models? The yogurt function is the only difference. The yogurt can be made even if your model doesn't have the button, but its a lot easier with the Yogurt Function. Also, I've heard of people using the yogurt button for other stuff, such as warming bread dough to get it to rise. What types of meals can an Instant Pot cook? My IP cooks nearly everything we eat! My soups, beans, pasta, eggs, porridge, chili's, whole chicken, sides, and I'm starting to learn to bake in it. I have three inner pots so I can put one in the fridge with left overs. Yes! The most common worry about using or buying a pressure cooker is the safety. But, the Instant Pot's safety features are one of the reasons why it has skyrocketed in popularity. All models have an auto shutoff feature if what you're cooking is burning or doesn't have enough liquid. The instant pot will know food is scorching and turn itself off. There are 10 safety features. If you turn it on to cook something and fall asleep or forget, it will go through the cooking setting you adjusted it to, and when it finishes, it will switch to keep warm mode and will naturally pressure release and keep food warm for up to 24 hours. Are the Instant Pot materials safe? Yes! The inner pot is made from stainless steal. The entire pot was tested by Carissa of Creative Green Living. She used a XRF instrument that can test for lead, mercury, cadmium, arsenic, and more. Here is a video of the test. Then, hard-boil at least 6 eggs to get some practice. They are easy, hard to mess up, and low risk. Plus, you can always use them as snacks or throw them in a nice egg salad. Then make one of your favorite soups. After soup, I'd go for rice pudding or making some congee. Start making bigger batches of foods that you will use later in the week to cut down on prep times. Some great possibilities include rice, chicken, potatoes, and fish. I always start a recipe in saute mode to "cook out" (bring out) the flavors. Don't forget the power of an onion to boost flavor. Always remember seasonings because while the Instant Pot will glorify every meal, it can also be a bit unforgiving if the herbs and spices are forgotten. If I start on saute mode, my Instant Pot warms up and comes to pressure faster, making a shorter cook time. I wrote another article about the best Instant Pot accessories. I list about 15 of the most essential accessories you could ever need/use with your IP, as well as some free alternatives you probably already have in your kitchen. If you don't want to read the accessories review, definitely consider buying another inner pot, trivet(s), and pots for pot-in-pot cooking. How often do you use an Instant Pot? I get asked this question really frequently. I use mine everyday at least once. Almost always for dinners, but other meals too. 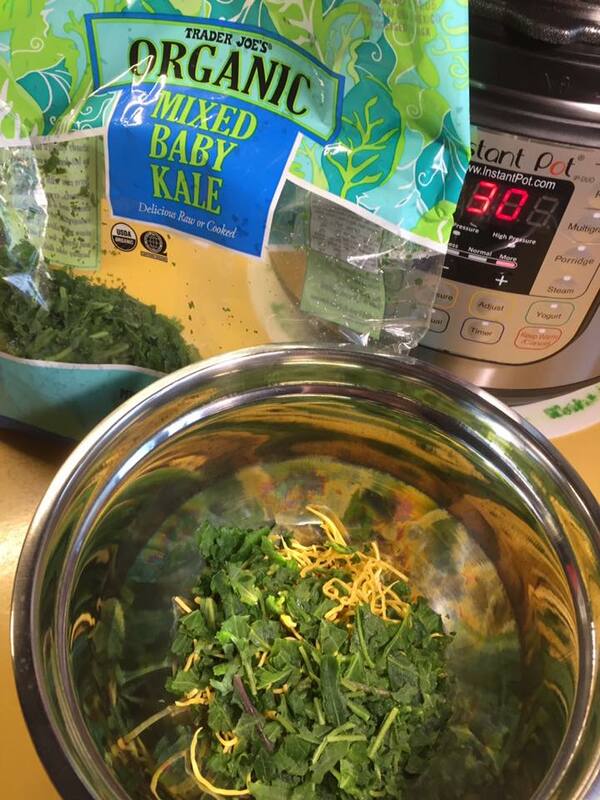 I use it to make larger batches so I can shorten mealtimes throughout the week. Some days I use it as many as 4 times. Usually on a weekend or a slow day when I'm home and can clean and do other stuff in between. A busy cooking day for my instant pot would be making 2 minute steel cut oats or poached eggs for breakfast with something else on the side, then for lunch I do a 5lb bag of potatoes in 7 mins & then I cook up some ribs in it. While the ribs cook I can make potato salad and prepare twice baked potatoes and when the ribs are finished I broil it for 10 mins and that's when I put the twice baked potatoes in to heat them... And then bake a banana bread or cheesecake for dessert. Yes, I know, I'm crazy. But hey, it saves lots of time while churning out awesome meals! The constant food supply has been so nice! There's always banana bread for breakfast or leftover chicken so that I can make chicken soup in 15 minutes from scratch, or I'll use the chicken leftovers for chicken salad sandwiches and it's been a huge timesaver. I usually have some cheesecake in the freezer too. Also since batches are able to be larger, I can freeze half of the leftovers and later on or next week I don't have to stress on lunch or dinner. I can just thaw out chili or soup or pulled pork and so on. How will Instant Pot change your life? These are just a few possible ways that an Instant Pot will change your life. I habitually forget to thaw my meats. I'm the worst at remembering to thaw stuff. Even when I don't thaw meats ahead of time, I can still get a meal done in under an hour. For me, that is a huge deal in my little world. It will make eating healthy much more convenient. I loved having one pot instead of multiple pots. Sometimes I don't even have to turn on the oven. I have homemade yogurt. Every. Single. Week. One pot spaghetti will seriously change your life! I've uploaded a few weekly meal plans that I like to use with the Instant Pot. I used this printable weekly meal template. If age is of any importance then I guess I'm one of the 'younger' homeschool writers here. I haven't graduated any kids yet. I'm interested in exploring every potential opportunity for learning. I homeschool out of passion. Passion for learning. I'm most passionate about writing. The next day was super busy with us spending all day in town on the coast and eating out. So that night I decided that I needed to replenish our supply of pickled eggs, so I boiled 61 eggs in 3 batches. 60 to pickle and one to eat, lol. I AM SOOOOO LOVING COOKING WITH THIS POT!! 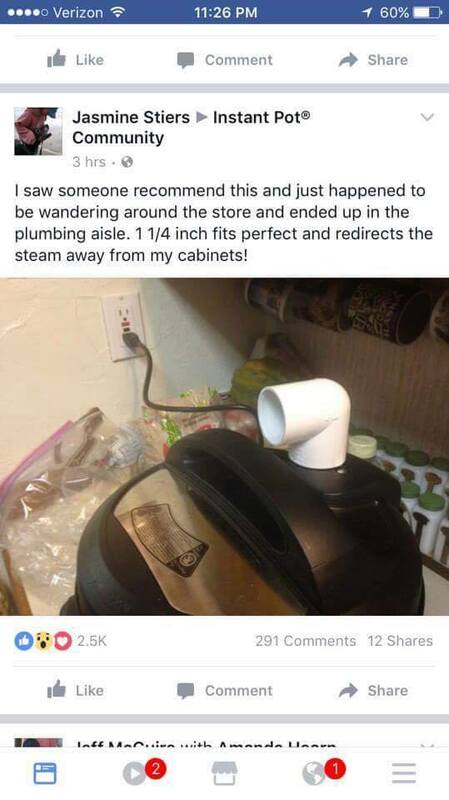 Thanks for sharing this review in the Instant Pot Facebook group! I was on the edge and this is really what did it for me. I was going to ask a question about the Instant Pot IP-DUO80 vs the Instant Pot IP-DUO60 but I figured it out. Currently, these seem to constantly be out of stock. Shipping was 1-2 months when I check on the Instant Pot IP-DUO60 so I went with the 8qt model. My .02c for deciding between models. I have both and I hat the way you have to stick your hand inside the 6 qt where the 8 qt is an open handle. I burned my knuckles the first time I used the 6. The 6qt will only accommodate a 5lb pork shoulder. Get the 8. Why? It is taller. This means you can put taller jars inside it on the rack if you want to make multiple courses at once. I have tried both because I got the 8 for my Mom, and I like it much better. I think it builds up to pressure faster, too. It's just me and my husband and we have t5be 8 quart. I like lots of leftovers. Only negative is that it is too tall to fit on my appliance shelf. So far I've used it every day for 3 weeks. I have one of each, they make a great team. We're a household of 2 but we like leftovers, make plenty of bone broth, and the time that I have available for cooking is limited. We are a family of 5. I'm so glad I purchased the 8qt. as I find that I have to double most recipes. We can't live without ours either! I read quite a few instant pot reviews before I bought, thanks for providing a really unique one! Now I'm the world's happiest cook! Noticed we can post pictures, so here ya go!